Landman Gardens and Bakery is a family-operated business located just north of Grand Valley Ontario;we are committed to growing and producing the best quality food for you and your family. We grow 1 acre of organically-grown produce and raise a variety of animals including chickens, turkeys and pigs. 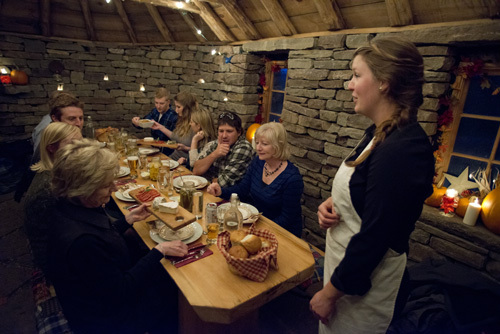 We also host dinners on our farm in our Blackhouse. We attend the Orangeville Farmers' market every Saturday all season long. If you are interested in learning more about an opportunity to join our team of staff on a seasonal basis, click on the links below to see all of the positions we have to offer for 2019. We will be accepting resumes until April 5th at 6:00 pm.